Chipotle shares slid 5% in premarket trading on Tuesday after the company said it was nervous about hitting its guidance for the year. The burrito chain was presenting at a Barclays retail conference in New York. Its same-store sales have fallen for three straight quarters in the wake of two E. coli outbreaks last year that affected its restaurants in 14 states. Co-CEO Steve Ells said inadequate customer service may be lengthening the sales recovery. Bloomberg reporter Shelly Banjo tweeted some highlights from the conference, which was livestreamed. Chipotle said lines were "definitely" back, but were not as long as they used to be, especially during off-peak times, for a number of reasons it was actively addressing. 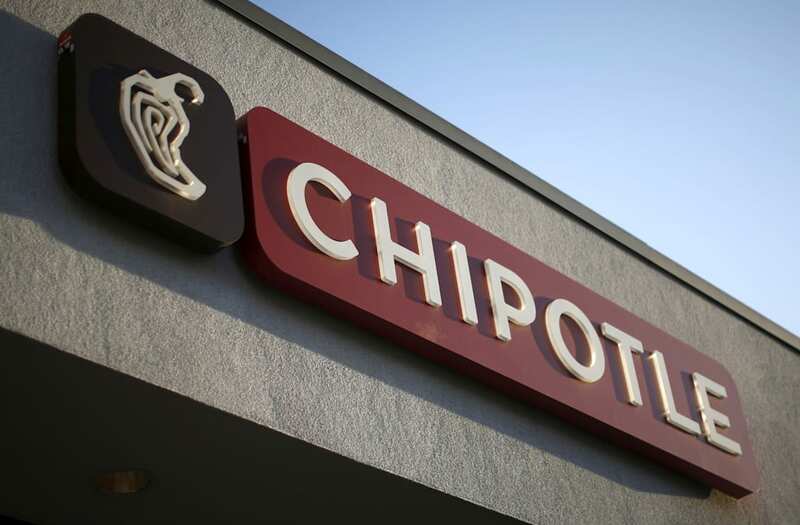 Throughput — the flow of people in and out of the door — was down, Chipotle said. "Throughput is a major component of our customer service," the company said. People visit because they think that Chipotle is "faster than fast food" in some aspects, it said. In September, Bill Ackman's Pershing Square disclosed a 9.9% stake in Chipotle. On Tuesday, the company said it did not have "any fundamental disagreements" with the activist investor, according to Banjo.